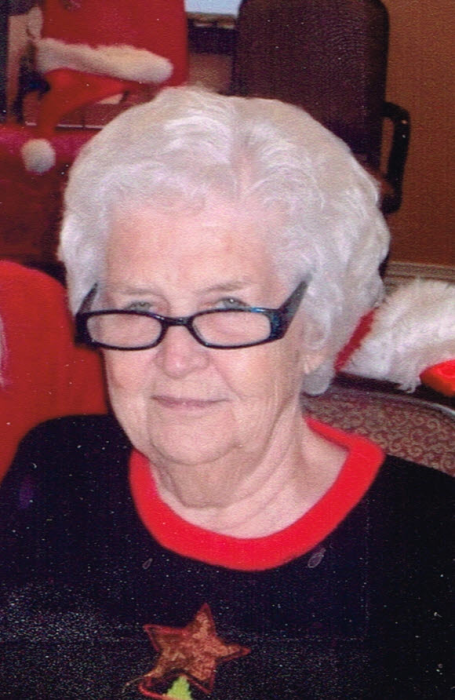 Clara Mae Richards, 89, of Lyons, passed away April 12, 2019 at Presbyterian Manor, Sterling. She was born December 2, 1929 in Stillwater, Oklahoma, the daughter of William G. and Pansy Vinson Prather. She graduated from Lyons High School with the class of 1946. Clara Mae was a longtime Lyons resident, formerly of Wichita, Kansas. She was a secretary for Swisher Insurance, Bob Hall Insurance; and machine operator for Lyons Manufacturing. Clara Mae was a member of St. Mark’s Episcopal Church, Lyons; past member of Lyons American Legion Auxiliary, where she held various positions, past American Legion State Commandor; 8 & 40 subsidiary of Reno Salon #197, where she served as Chapeaux from 1964 until 1965, and from 1991 until 1992; past member of Lyons Kiwanis; and volunteered at Rice County Women’s Thrift Shop. On October 18, 1947, Clara Mae was united in marriage with Charles S. “Charlie” Richards in Lyons. He preceded her in death on June 2, 1989. She is also preceded in death by her parents; sister, Mary Lou Weaver; sister-in-law, Antoinette “Toni” Prather; and granddaughter, Kelly Walty. She is survived by her son, C.W. “Bill” Richards and wife Sheryl of Wichita, KS; daughter, Cherry Hodges and husband Gary of Lyons; brother, Jack Prather of Lyons; six grandchildren; fifteen great-grandchildren; and six great-great-grandchildren. Funeral Mass will be 10:30 A.M., Thursday, April 18, 2019 at St. Mark’s Episcopal Church, Lyons, with Father Brian Viel officiating. Burial will be at Lyons Municipal Cemetery. Visitation will be from 2:00 until 7:00 P.M., Wednesday, April 17, 2019 at Birzer Funeral Home, Lyons with family present from 5:00 until 7:00 P.M. Memorials may be given to St. Mark’s Episcopal Church in care of Birzer Funeral Home, Lyons.